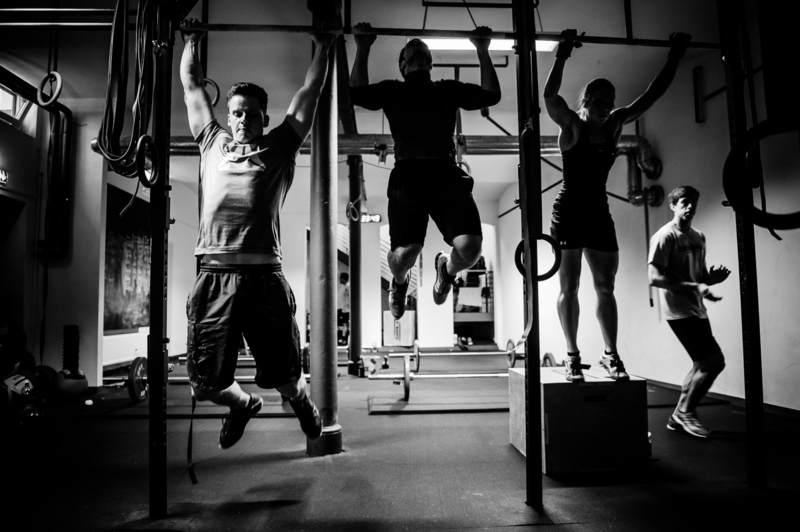 So, you are looking to get in shape, and have chosen the pull-up bar as your exercise weapon. Great choice! Pull-ups are hands-down one of the best exercises for developing a strong back and increasing your overall fitness. They’re old-school, basic, and a natural movement pattern for human beings. And the best part: Instead of hitting the gym week after week, you can get a pull-up bar for your home and exercise whenever you have time – even multiple times a day. Home pull-up bars are great for doing one of the most effective full-body exercises more often. What are Home Pull-Up Bars? 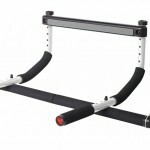 The pull-up bar is exercise equipment that allows you to perform pull-ups and chin-ups. 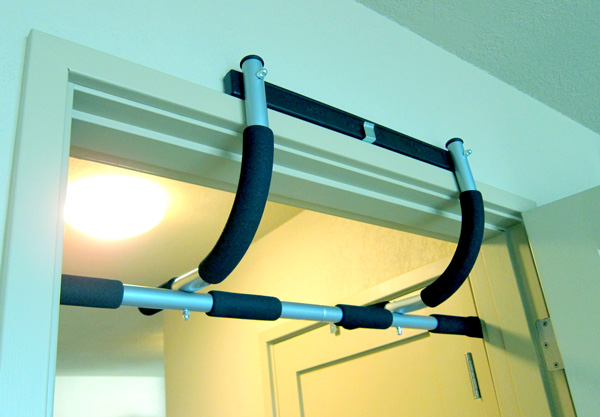 For home use, there are two general types of pull-up bars. There are two types of doorway pull up bars: doorway leverage pull-up bars and telescopic door frame pull-up bars. 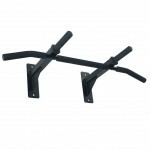 The doorway leverage pull-up bars go over the top of your door and are used as you face your closed door. Generally, you have to assemble the pull-up bar, through this should go fairly quickly. After you finish your workout, you unhook it from the door and you can store it away in one piece. 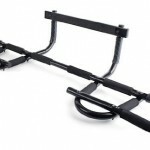 Our recommendation for a doorway pull-up bar is the one from ProSource (read the review). The telescopic doorframe pull-up bars look like shower curtain bars and are used with your door open. For this type, there is no assembly required, and you just wedge the bar in your doorframe. 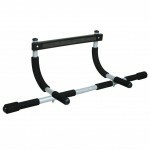 An example of this is the Sunny Health and Fitness Doorway Chin Up Bar. 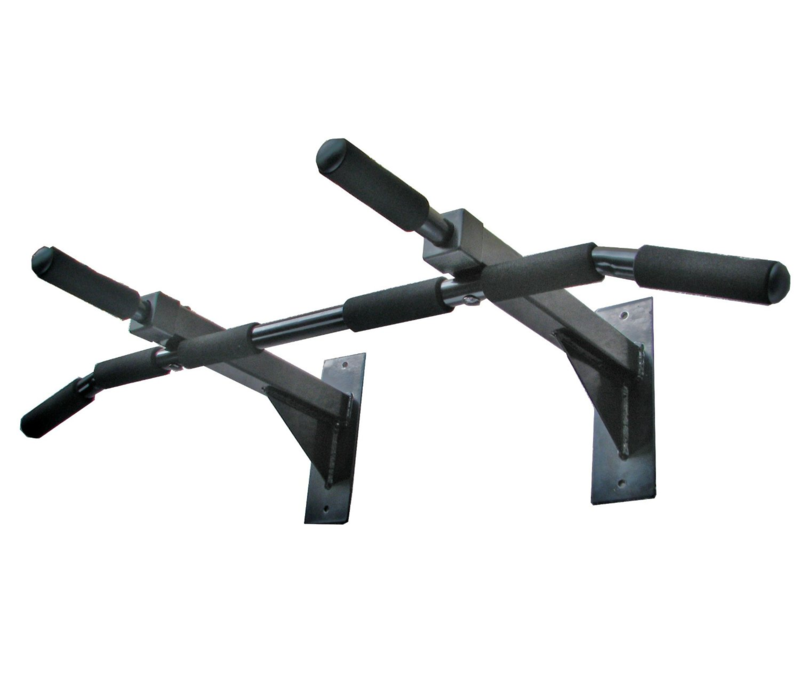 The right type of pull-up bars depends on your requirements for comfort and functionality. If you are looking for something relatively low-cost for permanent installation, consider the wall-mounted options. 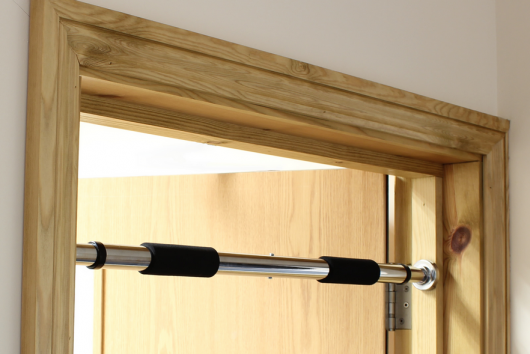 If you don’t have a lot of wall space, or can’t drill into walls, a doorway push-up bar might be the best for you. Both doorway pull-up bars and wall-mounted pull-up bars are pretty straight-forwards in terms of functionality. No fancy bells or whistles, they are installed within five to twenty minutes and they function for just what their name tells you: performing pull-ups. 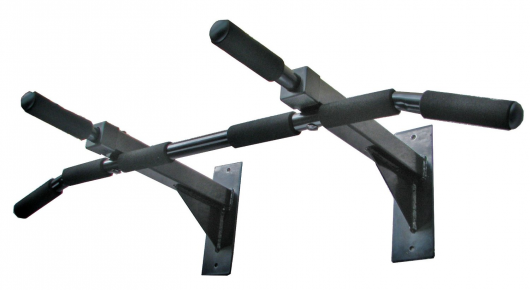 There is, however, one type of pull-up bars that can be used to perform multiple exercises: press ups, sit ups and dips, as well as pull ups and chin-ups: Multi-functional pull-up bars like the Iron Gym pull-up bar can be demounted from the door and used on the floor for push ups and dips. A similar model is the Perfect Fitness Multi Gym. Correct installation is key for all models, particularly the telescope model, which wedges in-between a doorframe. If you don’t make sure it is tight enough to hold your weight, you can fall and hurt yourself. The same goes with the wall and ceiling models. The instructions should indicate what material the wall must be made of for the pull-up bar to withstand your weight when in use.